It's been four years since Mortal Kombat X was first announced and unveiled at E3 2014! Along with a couple of series favourites; initial previews thrust a mysterious new generation of fighters into the spotlight. Their stories were told in MKX, a mobile game, comic book tie-ins, and the expanded edition of Mortal Kombat XL. A couple of franchise legends even made the leap into Injustice 2 in time for last year's 25th Anniversary celebration! At every step of the way, MK Online has invited fans all over the world to take stock of characters new and old. This year our annual tradition is turning our attention towards the future of the series! We're thinking about what happened last, and what will happen next, while asking the eternal question: Who is the Supreme Mortal Kombat Champion? You'll decide the answer as the ultimate fan voting tournament returns to Mortal Kombat Online for another year! We're inviting every fan to make their voice heard in the Fan Koliseum as we speculate about the future of the series! Read on to learn more about the ins and outs of this year's unique tournament! Keep scrolling for regularly updated results and links to each battle! Beginning in May; MK Online summoned fandom from across the Earthrealm to determine a 2017 Supreme Mortal Kombat Champion! For a quarter of a century Mortal Kombat has been a titan of the fighting game genre! The iconic cast of memorable characters has helped the series thrive as a gaming leader -- and pop culture phenomenon! 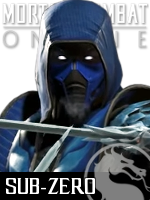 In 2017, fandom has helped us crown Sub-Zero as the Supreme Mortal Kombat Champion! Bloodfeuds and rivalries drive the best individual kombatants as they fight for supremacy, but since the very first game, there has always been strength in numbers, too! What would Mortal Kombat be without its legendary cast of fighters? Everyone has their favourite characters - their go to choices year after year, game after game. Like the series itself, these iconic warriors are constantly evolving to look, play, and be different. It's one of the things that makes Mortal Kombat unique! A constant state of flux you won't find in many other successful fighting game series! In 2017, Mortal Kombat celebrates its 25th Anniversary! The last quarter century of kombat has cast a long shadow over arcades, consoles, handhelds, mobiles and more - giving us plenty to consider as we summon fans from around the globe to participate in an annual tradition! The yearly character tournament has become a living document of the reboot era. 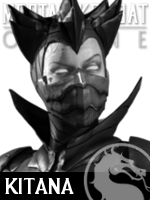 We've celebrated the klassics, speculated about the future, and welcomed a new generation of kombat icons! In 2017, we're still seeing the series evolve in Mortal Kombat X Mobile and Injustice 2. We'll be thinking about it all as we ask the eternal question in this very special year: Who is the Supreme Mortal Kombat Champion? You will decide the answer as the ultimate fan voting tournament returns to Mortal Kombat Online! We invite every fan who loves the series to vote and comment on daily match-ups as we whittle our way to a final champion! We're doing things slightly different this year! Read on to learn more about how the 25th anniversary tournament and visit the Fan Koliseum to share your votes and thoughts on each battle! It's almost hard to believe that this is the year Mortal Kombat celebrates its twenty-fifth anniversary! From humble beginnings of seven playable digitized fighters, two legendary bosses, and one secret character -- the franchise now boasts more than seventy main characters appearing in games, comics, film and television! For almost twenty of those years, Mortal Kombat Online has bared witness as the internet's most visited MK fan destination of all time! As a supplier of information and digital record; we've watched and documented the many changing phases of the games -- as well as the reactions of fans across the globe! 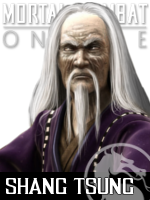 MK Online was here in 1999 when you wondered if Reiko could really be Shao Kahn. In 2002, Hsu Hao became one of your most talked about new characters. In 2006, you wondered who could possibly survive Armageddon when Blaze returned. 2008 provoked your rage when the DC Universe invaded for the first time. In 2011, it all began again as Warner Brothers took control of the franchise, and the klassic trilogy was reborn. The unshakeable constant that's excited fans throughout all these many years has been the characters! Every one has their favourite fighter and they're eternally evolving with every appearance. They look different, play different, and have new goals in almost every game. This endless sense of change has always given fans ammunition to fiercely debate which character is the best. That's why, on the 20th anniversary of the series, MK Online finally set out to ask the question: Who is the Supreme Mortal Kombat Champion? Martial arts mysticism and sorcerery may be at the heart of what makes Mortal Kombat great -- but that hasn't stopped fans and filmmakers wondering what it would be like if MK adhered to rules of reality. In recent times we've been conditioned to expect Mortal Kombat to occur every four years. Over the past few terms, the political and military direction of Outworld has been a hugely significant topic with implications engaging all surrounding realms. So it is that the enduring reign of Emperor Shao Kahn comes to an explosive end! His popular ascension was seen by some as an evolution of a new Outworld - one that would unite its many distinct cultures. He was a savior in the eyes of some, an unfulfilled promise in the eyes of others. His hands were tied as Outworld pushed to defeat Earthrealm in the Mortal Kombat tournament. When he attempted to force a conclusion by sending troops abroad, he only drew further criticism. He was a moderately divisive ruler, but one whose presence will loom large as Outworld moves forward into a new era of intense uncertainty! 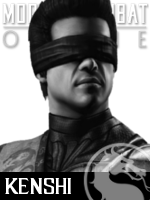 Mortal Kombat Online is covering the election as you vote for a new Outworld Emperor! Will they or won't they? That's been the question surrounding additional downloadable content for Mortal Kombat X. A poll posted by NetherRealm Creative Director Ed Boon asked fans what they'd like to see the studio develop next - and it's DLC that is still dominating fans minds!